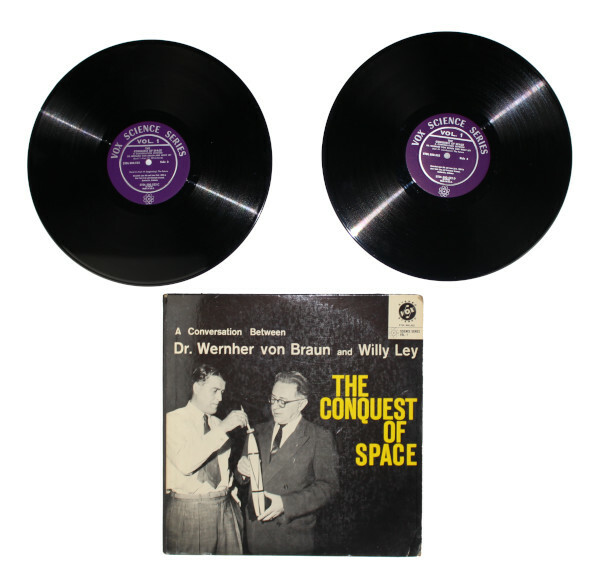 The album consists of two vinyl records which capture conversations between Wernher von Braun and Willy Ley as part of the Vox Science series – made by Vox Productions, Inc. New York. 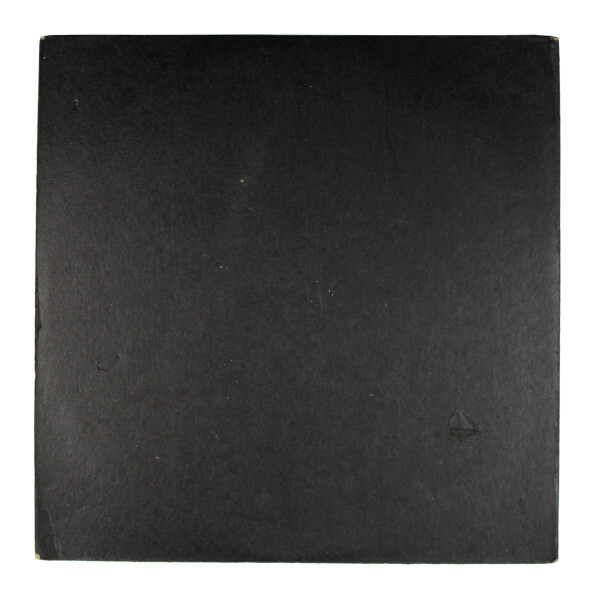 The conversations occurred on 9 June 1959 in New York City and 23 June 1959 in Redstone Arsenal, Huntsville, Alabama. 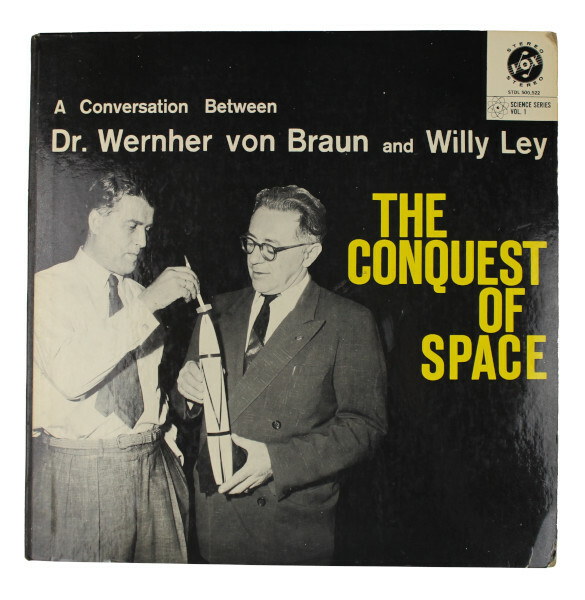 Von Braun and Ley were old friends from the time they were both members of the Verein für Raumschiffahrt, a German amateur rocket association which existed before World War II. Both men went on to make significant contributions to the field of rocket science. Following his work on the V-2 rocket in Nazi Germany, Von Braun became the architect of the United States’ rocket programme. This culminated in the Saturn V rocket which propelled the Apollo spacecraft to the Moon. 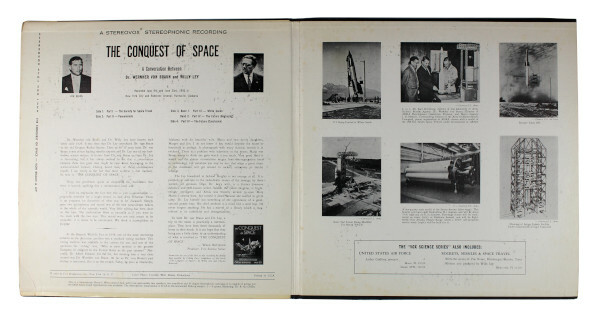 Ley was a prolific science writer and spaceflight advocate who helped to popularise rocketry. Ward Botsford, who produced the record on behalf of Vox Productions, simply wanted a conversation with no pre-arranged questions – just two science experts talking. Very little editing has been done to the tapes, so the conversation flows naturally, giving the listener the feeling of being in the room with the two men.